India is a nation with a diverse landscape and one that is best explored through trains that criss-crosses across different parts of the country. But the biggest thrill of train journeys, for the food loving Indians, is to taste some unique food on their long journeys. The mere mention of food on train brings back many nostalgic memories for every Indian train traveler. The times have changed and with that the way people eat on train has changed too. So, here is a nostalgic ride through the history of food on train. Historical documents state that dinner cars were first implemented in Transcontinental rail services in the United States as early as 1870s. In the next decade, these cars became the preferred option for Western train travelers over the roadside stalls. But the concept of dinner cars was implemented in India at a much later date. Deccan Queen, often touted as a train of many firsts, became the first train to have a luxurious dinner car. But a ride in the Deccan Queen was strictly meant for aristocratic folks and had nothing to do with the common populace. But by the 1930s, trains such as Golden Temple Express and Doon Express were run with a dedicated Pantry Car. But then too, food was hardly ordered from the in house facility. These were the merry old days of train travel with a host of steel dabbas or tiffin boxes. And the women folk in the household would get all busy, a few days prior to the journey, planning and cooking up meals. They would calculate the hours of the journey, and then think of the food options (some snacks, some heavy meals) and take to the kitchen. 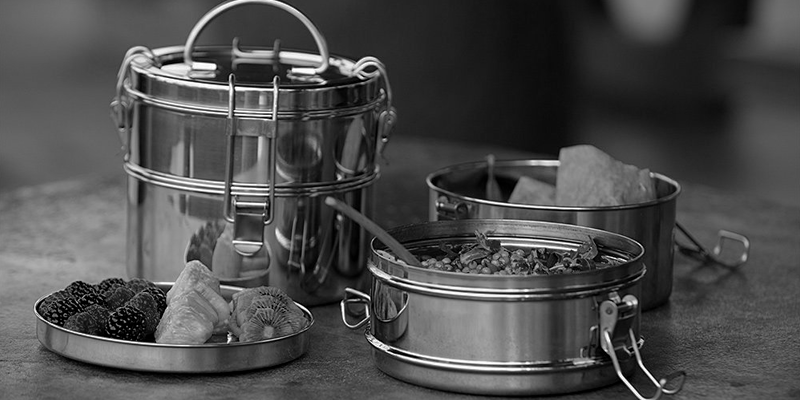 So, on the day of journey, many tiffin boxes would accompany the essential luggages. If the journey would span across many days, then the research got a bit more intense. Families would have to get in touch with their relatives or friends, who would do the favor of dropping by the station at the train’s scheduled time, meet up and most importantly provide some fresh food supplies for the journey ahead. So, having homemade food was a norm in those times, which would also be triggered by the lack of options at railway stations. The tides of change had creeped into the mindset of Indians by now. In many instances, carefree travelers saw all those heavy tiffin carrying boxes as a major deterrent to the fun of their journeys. Through the last few decades, train travelers also found that many types of food go stale, putting the passenger in a spot of bother. So, most youthful minds took to the adventure of getting down at stations and consuming food that was available with the roadside vendors. They even saw it as a scope to taste some regional delicacies. As the big brand restaurants had yet not made their entries into the railway stations, so the station vendors were the only choices for food during journeys. 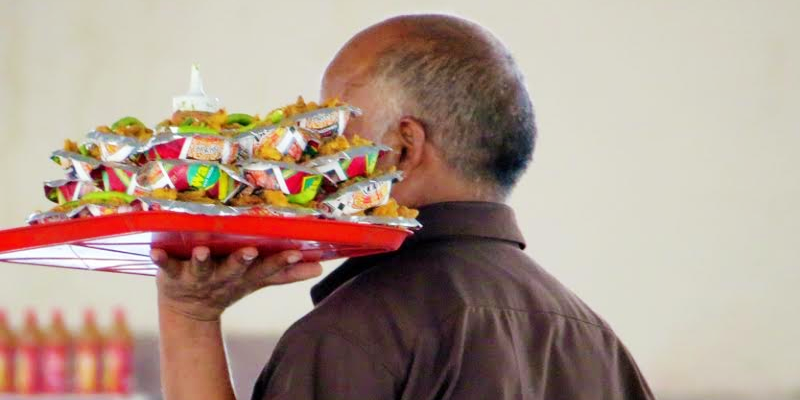 Through the last half of the past millennium and into the first decade of present millennium, train travelers started seeing the shabby picture of eating from roadside vendors. 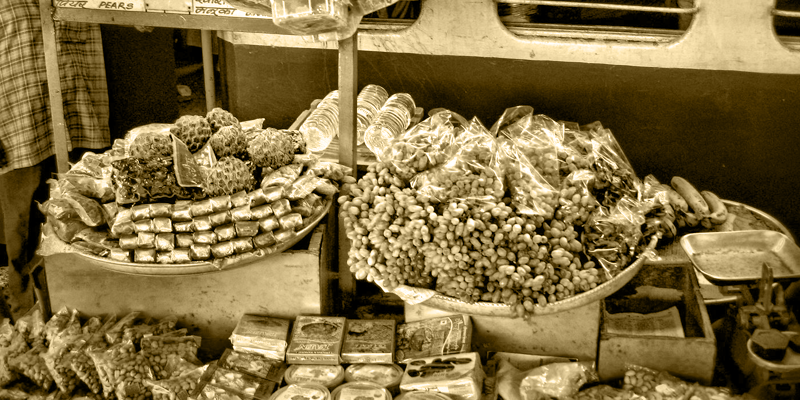 The unhygienic and often sub-standard food they sold had turned many merry journeys into belly nightmares. So, there was a large dissatisfaction among the travelers and one that did not have any solution under the prevailing scenario. So, this era was marked by people making guarded food choices. If the vendor and the food looked hygienic, the passengers would have it otherwise they would rely on their fast food stuff (carried along). The pantry food services had also taken a nose-dip. Many passengers even reverted back to the good old days of carrying their homemade food. As technology cast its vast influence on every aspect of Indian lives, train food was about to get a major face lift. This was the era when many private players, used the power of technology to offer hygienic and tasty food on trains. Now, the passengers could easily let go of the pantry food or the road side vendors. 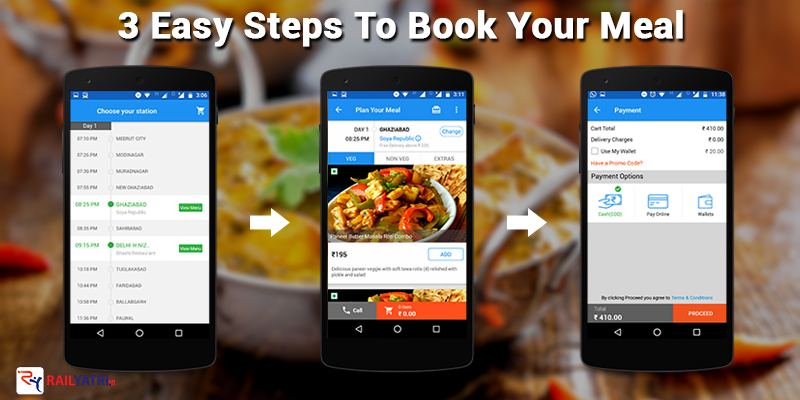 They could simply order for food (using websites and mobile apps) and it would be delivered to their berths. The experience of train food was made pleasant over again. The end goal of every train journey, had and will, remain: to reach the destination without any troubles. And that is quite hard to attain if you do not make wise food choices during the journey. 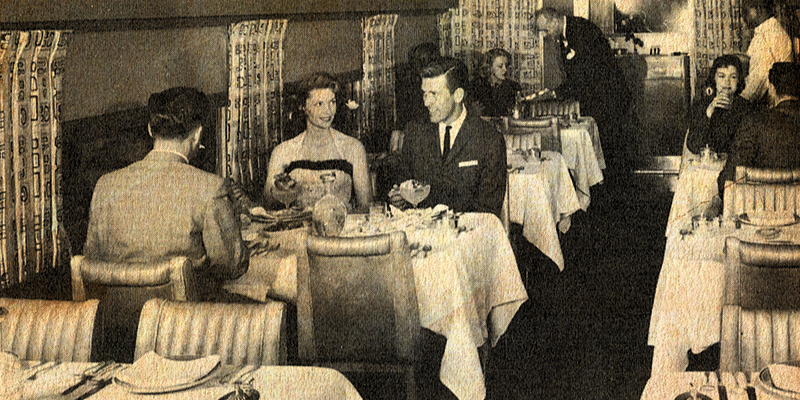 In later part of sixties dining cars were provided in many major mail and express trains. I perticularly remember using the same in Delhi Howrah AC express and also in Kalka Mail. Very good a la carte food items used to be served. This facility was discontinued later after railway started serving present sub standard food in plastic cassaroles. Here is the good memory from old foodscape on rail , I remeber at the 1992 when local trains does’t have any facility of water and i travel for 1 day without water.